'I AM THE HUGGER!" - Just published by Rose Dog Books. A non-profit program for children and their grownups. Granny Green's Green Machine is an upbeat, informative, amusing and musical look at how we can all make a difference. Using original songs, original storybooks and colorful puppets made from recycled materials, Granny Green reminds us that we're connected to the natural world. Learn how some of the Earth's cycles and systems work together just like the parts of a machine! You can help make the world a little greener right in your own backyard! ​Available for school and scout programs, educational campaigns, earth fairs, expos, and other events. Formerly based in New Jersey and the New York metropolitan area, Granny Green's Green Machine is now in the Pacific Northwest! Granny Green's puppets and props are made from paper, cardboard, bottles and cans. Let's get creative! 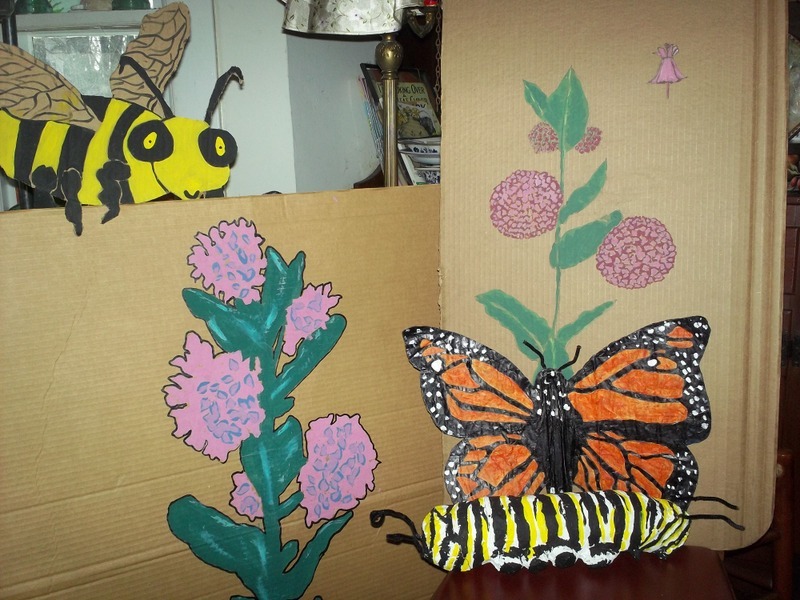 If you've got recyclable materials, markers and other supplies - we can turn them into treasures! Our oceans are full of plastic. You can help solve the problem! Worms are some of the best recyclers on the planet! 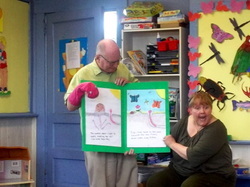 Hear the tale of Willy the Worm, learn about composting, and do The Wiggle Worm Wiggle! Brenda Cummings is a certified NJLearns Sustainability Educator. "Little Drip Takes a Trip." A book about the water cycle.